Cloud Hosting vs Shared Hosting: What's Better for Irish Businesses? | Host.ie - Linux Hosting packages for all your Irish web hosting needs. Cloud Hosting vs Shared Hosting: What’s Better for Irish Businesses? Is your Irish business growing? You’re probably seeing an increase in traffic on your website. If your current website hosting environment isn’t designed to handle that increase in traffic, it may be time to switch hosting providers. If your website crashes, it could be a serious blow to your business. Even a little bit of downtime can lead to a sizable loss in sales. 85% of Irish SMEs with a website said their website is “important” or “very important” for bringing in new business. If you have an e-commerce website, you’ll need an increased level of computing capacity to take advantage of burgeoning trends. Nearly 60% of Irish consumers bought something online in 2016, up from 33.1% in 2007. If you’re currently weighing cloud hosting vs VPS hosting, keep reading this article to get a full understanding of both. Choosing where and how to host your website isn’t a decision to be made idly. You’ll need to do a cost/benefit analysis of numerous options. But more importantly, you’ll need to choose the best hosting environment for your current and future needs. You’ve likely done some research into different hosting options. Some forms of web hosting are appropriate for SMEs, but others are more appropriate for larger enterprises. The choice revolves around the among of capacity you need and how you plan to use your computing power. From a computing standpoint, it doesn’t take much power to host a website in Ireland if your business is small. But if you’re a large enterprise, you may need more resources. Many large enterprises need the flexibility of computing power on-demand, for example. Cloud hosting and VPS hosting are two choices that are popular with Irish businesses of all sizes. They’re similar, but their differences are notable. Both options can influence how well your website performs. Virtualization and remote computing operations have given businesses around the world access to computing power they never could have set up on their own. Even large enterprises have little need to maintain their own physical infrastructures on their premises. Cloud computing is a technology that touches almost everything related to IT, whether people realize it or not. From simple cloud storage tools to virtual enterprise software testing environments, cloud technology allows for optimal uptime, increased capacity, and extra computing power on-demand. With cloud hosting, your server resources are spread across numerous shared machines. This is a complex environment that’s built for flexibility. But it means you don’t have as much say in it’s configuration. Cloud hosting tends to cost more than VPS hosting. But it’s often a better decision if you need extra computing power. 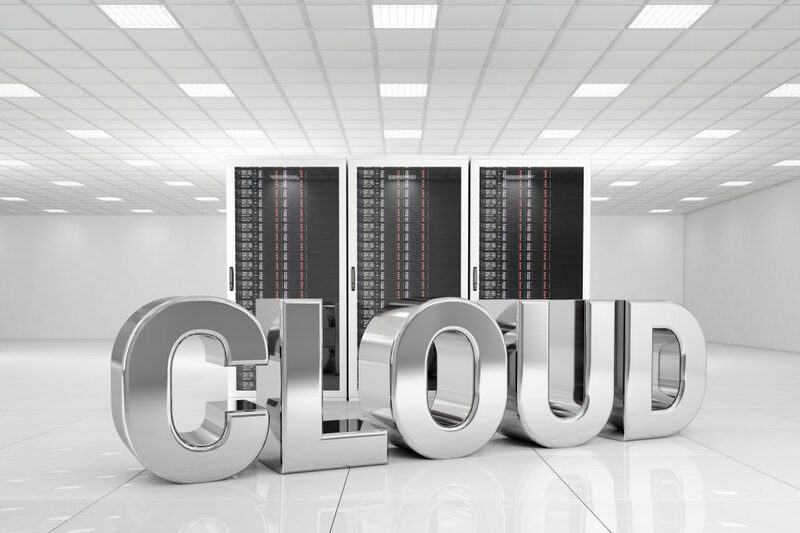 Here are some of the benefits and disadvantages of cloud hosting. Reliable: Your website is hosted on multiple physical networks. Even when one server goes offline, you only lose a fraction of your resources. Your website remains active and accessible. Flexible: Unlike hosting your website on a single server, you have more options to extend and scale your cloud environment. If your business is growing, you may need a flexible environment to handle extra traffic. Cloud hosting is also a good option if you receive surges of traffic at specific times. Secure: The multiple physical servers that host your website are secured in data centres. This keeps your website safe from physical threats. On a single server, your website goes down if the server goes dark. Highly Technical: Cloud hosting is more complex than other forms of hosting. You’ll need a high level of technical knowledge to take advantage of everything it has to offer. More Expensive: You have access to more power and hardware with cloud hosting. That makes it more expensive than VPS hosting. You pay for what you use, as you use it, so costs are more unpredictable. Less Control: You don’t have as much control over your hosting parameters. Your hosting environment will be extended across multiple servers. Cloud hosting is a better option for Irish businesses that have high technical knowledge. It’s also a good option if you need more capacity and flexibility. VPS hosting, or Virtual Private Server hosting, is when your business receives a section of a partitioned server. You share space on a single piece of hardware with other customers. It may sound similar to shared hosting, but there are key differences. Virtualization technology is what allows a single server to be split into multiple servers. The allocation of resources is what sets VPS hosting apart from shared and dedicated hosting. On a dedicated server, you have control over an entire machine and all its resources. On a shared server, you share its resources with multiple users. On a VPS, every user has their own dedicated resources, but each virtualization exists on a single machine. You can customize and configure your section of the server as you see fit. You can also scale as you need to with VPS, if you find the right provider. With shared hosting, you run into limits as other businesses vie for resources. On a dedicated server, you must lease or purchase another machine when you reach capacity. You can use VPS software to build an environment for the future or find the perfect environment for right now. Here are the benefits and disadvantages of going this route. Customizable: You can manage your virtual private server as you see fit. You’ll have access to the whole infrastructure. You can install all the software you want. Efficient: While not as efficient as cloud hosting, VPS hosting is much more efficient than shared hosting. It guarantees a minimum level of uptime for your website. Private: You do not share an operating system (OS) with others. No other websites can access your files. Dedicated Resources: Your website has a dedicated amount of RAM to handle requests. You don’t need to share this memory with anyone else. Single Machine: With VPS hosting, you own a private section of a single machine that is shared with others. If that machine fails, all the virtual private servers hosted on it fail. Unlike a cloud environment, your resources aren’t spread across multiple machines. Physical Limits: You have less flexibility on a VPS. If you reach your data limit, you’ll need to purchase more resources. The best VPS providers make this process as painless as possible. VPS hosting is best suited to SME websites and websites that don’t receive erratic traffic levels. If you’re an SME in Ireland who needs a scalable and affordable solution, VPS hosting may be your best option. If your current hosting environment isn’t suitable for your website, it could lead to downtime. That downtime could cost your business. Much of your business may come from Ireland, but you likely get visitors from the EU and abroad as well. When hosting your website in Ireland, you’ll need the capacity and efficiency to serve this markets. 24% of the revenues Irish retailers generated online came from international visitors in 2018. Nonetheless, Irish buying power is still robust. Irish businesses saw a 32% increase in online transactions from their Irish consumers, according to the same report. Even if you don’t sell to consumers, your website is your most important salesperson. Many B2B buyers do online research before speaking to a sales representative, according to Forrester. You need scalability, enough computing power to handle your traffic, and a cost-effective solution. Do we need on-demand computing power that we can pay for as we go? Do we need the flexibility to handle surges of traffic as needed? Do we have the technical skills to configure a complex environment? Do we need the most scalable solution possible? Do we need extra security against server outages? If you answered “yes” to any of these questions, cloud hosting may be the best choice for your business. Cloud hosting is a good option for website owners who need more flexibility and on-demand performance. Do we need an environment that can be heavily customized? Do we need a dedicated amount of resources? Do we need more security than what shared hosting provides? Have we outgrown our shared hosting plan? If you answered “yes” to any of these questions, VPS hosting may be the best choice for your business. It’s ideal for Irish businesses that just need a better option than shared hosting. For some businesses, cloud hosting is too complex and unnecessary. Cloud hosting vs VPS hosting: If you’re still debating which solution is the best choice for your business, we can help. Host.ie helps thousands of Irish businesses with world-class service and superior support. We provide scalable website hosting solutions that fit a variety of needs. Our passionate team members can answer your most challenging questions and help you find the perfect solution for your business. We offer additional services, such as domain registration, advanced virus protection, and email defense services. If you’re interested in VPS, our VPS solutions are fully scalable and customizable. Contact us today to discuss which options are best suited to your business. Or, browse our business class VPS offerings.